A few new updates have recently been released for the Advanced Chart Editor for the XrmToolBox. We hope you like them. This blog post details the updates in version 1.2017.8.29. 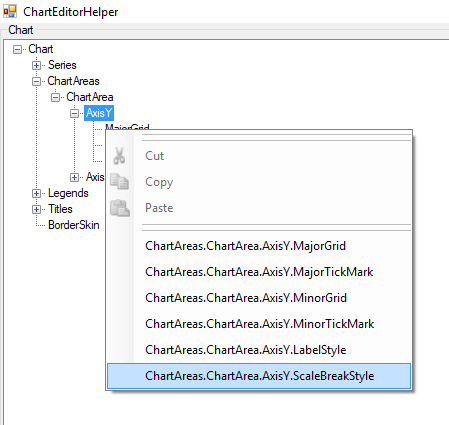 If you are new to the Advanced Chart Editor, check out this blog post. Save button now understands if you are working on a system chart or a user chart in Dynamics 365. If it is a system chart, the save button will save and publish the entity. For a user chart it will only save the chart. You will then be able to immediately see the results by refreshing your chart in the browser. Entering numbers in the tool turned out to be a little tricky so we have made some improvements around this. Number fields now have better decimal point control in the editor. We now only allow the number of decimals that is relevant for the given property. This was an issue on fields specifying a width in pixels as these properties would error on save if a decimal was specified. Even if it was .0. Also, now there is some validation as only valid ranges in number fields are allowed. So you can’t input 5 if the valid range is from 10-60. The marker style properties are probably best known from the goal charts where they are used for targets. Here’s an example of some different marker styles being used in a Dynamics 365 chart. The marker styles works best with point charts, but can be used on most chart types. The properties for the marker styles are found in the Series section. The editor now let’s you add missing nodes. 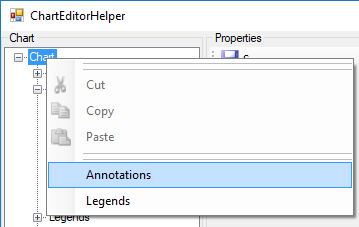 So if your base chart does not have the legend in there by default, you can now add it in the editor. You can now also easily add scale breaks if needed. Too add a scale break, right click on the axis, usually the Y axis, and select the ScaleBreakStyle. 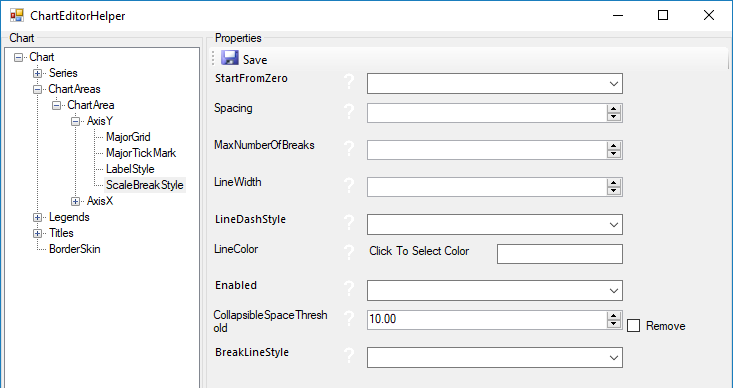 Then select the ScaleBreakStyle node and the properties will be ready to be filled out. Remember to set enabled to “True”. Go to this blog post if you want to read more about scale breaks. In the previous version of the Advanced Chart Editor for the XrmToolBox, the annotation node was added automatically and you could easily brand your charts or add additional instructions. Adding nodes automatically unless they are needed wasn’t really good practice, so now just right click on the main chart node, and add Annotations. Now you can add text to your Dynamics 365 charts as demoed earlier in this post. The sections, or nodes, can only be added where they are relevant. For example, you cannot add a MinorGrid to a Legend as that would not be valid. However, one word of caution, the tool does not check if the section you are adding already exists, and if multiple sections are allowed, so make sure you only add what you need.